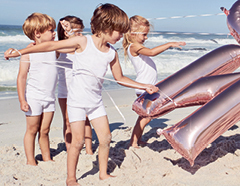 These unisex baby shirts are great for girls and boys alike! 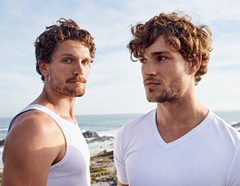 In a practical double pack, both come in 100% soft cotton, a wide, American neckline and cute designs. 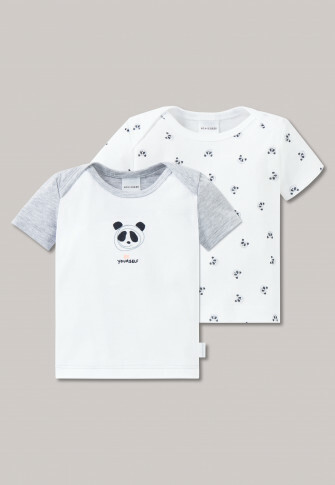 Black panda heads are spread over a t-shirt, while the second model, with sporty heather gray shoulders has a sweet panda motif. A great baby duo in best SCHIESSER quality! both t-shirts with heather gray shoulders and back and side SCHIESSER flag.